What does a 4th century BC philosopher have to do with your e-commerce website? Before you let out an impatient sigh of boredom, hear me out. The oracle speaks forth the wisdom of the ages. What you’re about to read is rivetingly relevant, inescapably entrancing, and profoundly profitable. In fact, Aristotle wants you to make more money, and he’s going to tell you how. Here it is. 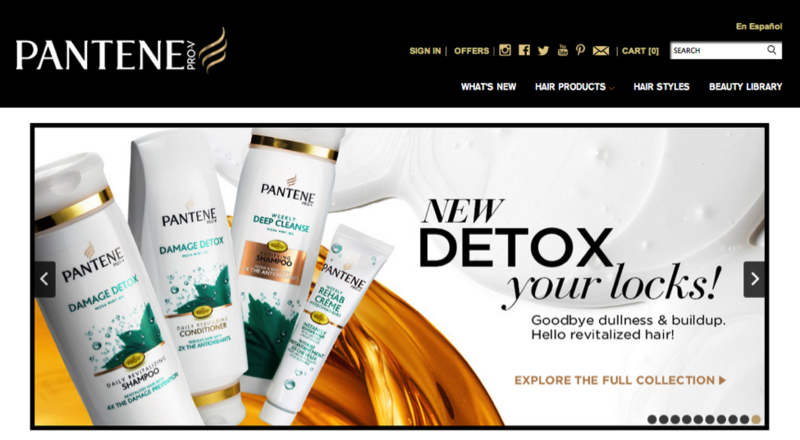 Your e-commerce goal is simple: conversions. Aristotle taught us about persuasion, and even though his principles are 2,300 years old, they still work. In this article, we’re going to uncover those ancient persuasive principles to discover their modern application. The persuasion techniques that Aristotle developed have been used successfully for centuries. 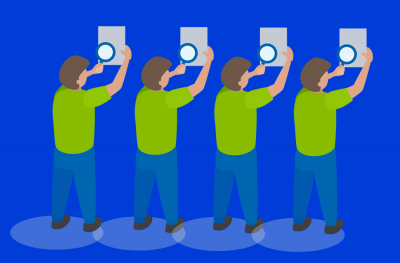 There’s no reason to discard them in an age of high-tech, web-driven e-commerce persuasion. The great thing about these principles is that they are effective, and everyone from Manhattan shoe shiners to submarine contractors have used them to sell products, create good will, and make the world a better place. If you want to gain more conversion, and grow the popularity of your product, it’s time to hire Aristotle’s consulting services. You’ll get some serious ROI. Here’s how to do it. There are three main ways to persuade people to convert on your website. 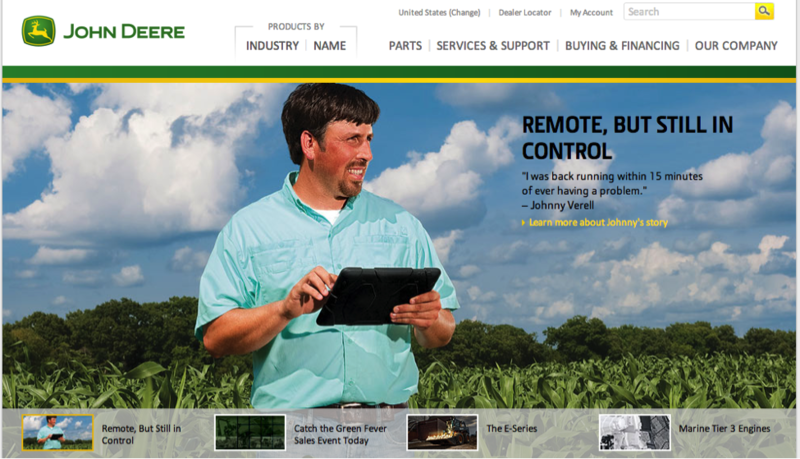 First, people have to trust your website. It needs to be credible, and possess an authoritative reputation. Second, people should experience an emotional connection with your website, and want what you have to offer. Third, people need to be convinced by data, numbers, and facts to convert on your website. Aristotle was, quite possibly, the world’s first conversion optimization expert. Ethos – showing users that you’re legit. Think ethical appeal. 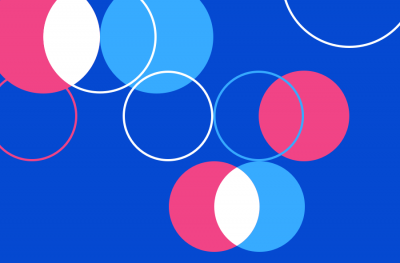 Pathos – showing users that you understand their needs and attitudes. Think emotional appeal. Logos – showing users that you’re intellectually capable. Think logical appeal. Aristotle was a bit pie-in-the-sky when it came to connecting with the masses. To apply Aristotle’s intellect to the modern day, I’ve provided five straightforward ways that you can apply smart persuasion techniques to your website. In the screenshots below, all images come from the website’s homepage unless otherwise noted. A couple of geniuses (Alison Jing Xu and Robert S. Wyer, Jr.) did a study on persuasion practices, and came up with this conclusion: ”Individuals’ attitudes can be influenced by the cognitive behavior they have performed in an earlier, unrelated situation.” In other words, getting people to think positive thoughts makes people do positive things. The principle of the “yes, yes” technique is built on the idea of positive mindset. If someone is in a positive state of mind, they are far more likely to respond positively to you. In this specific case, they are more likely to say, “yes” to your offer—to convert. So, how do you put users into a positive state of mind? One simple way is to offer something free. People are highly likely to say “yes” to getting something for nothing. Offer a free consultation, free eBook, free video download, free exclusive secrets, free money, free whatever. 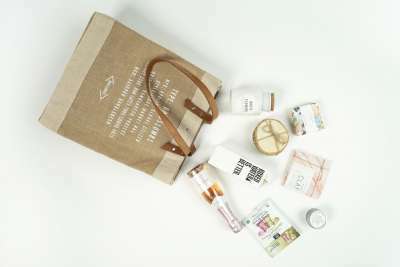 Offer something appealing for free, and you’ll endow the potential customer with positivity. 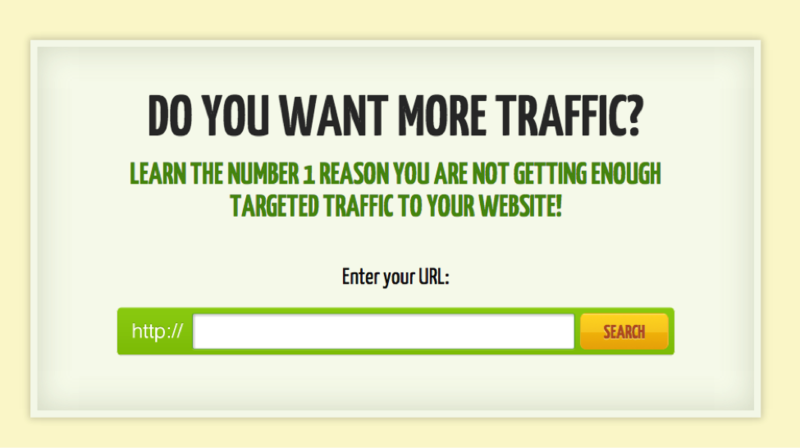 Neil Patel pulls this off brilliantly with his “Do You Want More Traffic?” question. Visit his blog, and you’ll get hit in the face with this page. The answer to the question is “yes duh.” By getting his visitors to say, “yes” to his query, he gains a positive emotional response, and then pulls them into the conversion. Bam! Another way to persuade users by means of positive mindset is to encourage agreement with a statement. By stating the bold, obvious truth, you can place site visitors in a positive mindset that encourages a conversion. WorldVision, a charity for children, uses this technique. A visit to their website displays the image you see below, and an invitation to pray. 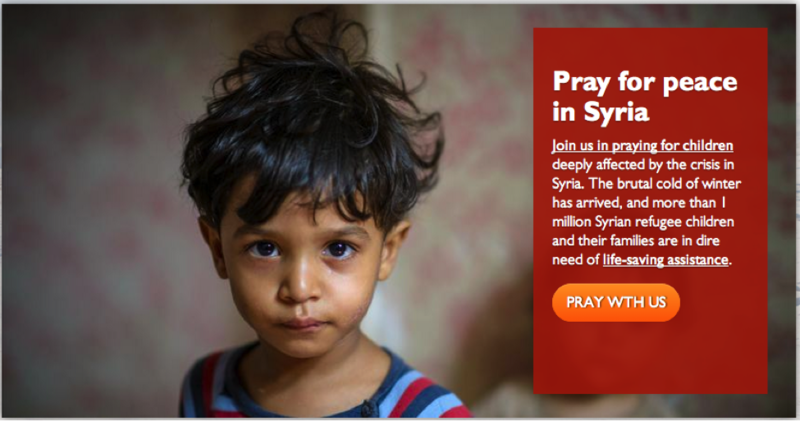 The appeal, “Pray for peace in Syria” is likely to be met with a “yes, yes” from WorldVision’s target audience. “Pray,” “peace,” and “children” are connotatively emotional words that create a positive mindset. Users are very likely to convert by clicking the “pray with us” button. In order to say something that your users will agree with, you have to know your users. Obviously, “pray for peace” is not going to work for all audiences, but WorldVision knows whom they’re targeting. For their audience, these words and this request are relevant and coercive, putting users into a state of mind that is receptive to the next logical point in the conversion funnel. 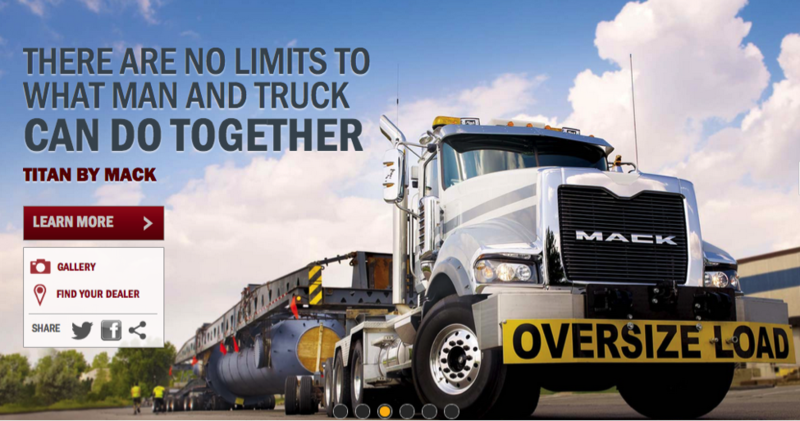 Mack Trucks makes the claim “There are no limits to what man and truck can do together.” For Mack’s target audience, this is an inspiring claim that they will eagerly agree with. Instantly, it tilts the viewer in favor of the brand by getting them to say “yes!” to the statement. The next step towards conversion—learning more, finding a dealer, or viewing the gallery—is likely to follow. 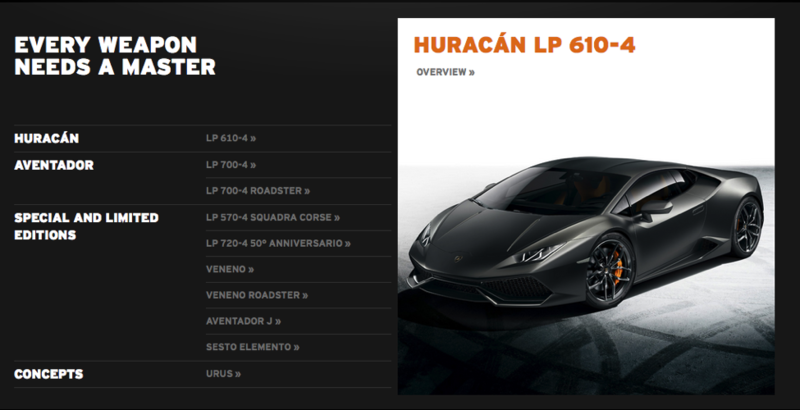 Lamborghini also uses this technique with their statement, “Every weapon needs a master.” This inspires agreement, which bestows a positive experience to the browsing process. Ideally, such positivity will contribute to to a conversion of some sort. 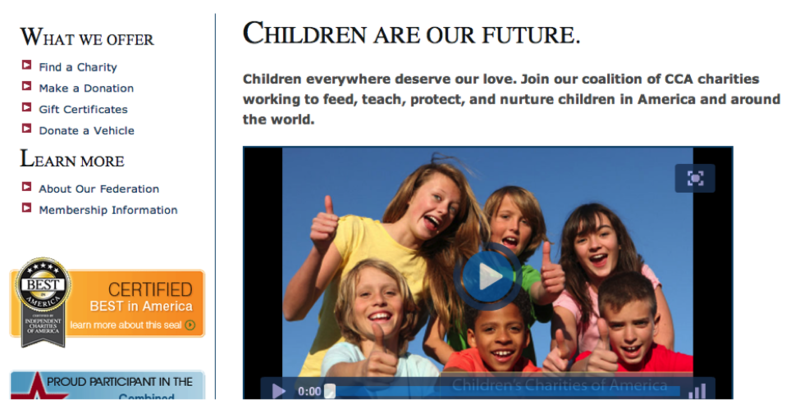 The website for CCA has the statement “Children are our future.” It is inarguably true, thus disposing the viewer more favorably to read the copy, watch the video, and give money to a charity. People hate being cajoled into something when they know they’re being cajoled. That’s why people love the opposite of cajoling—freedom. When you make an offer but tell people that they’re free to say no, it gives you a huge persuasion advantage. The technique, known as “but you are free,” has been shown to double the effectiveness of an appeal. Provide easy back buttons that allow the user to exit the conversion funnel. The first statements in the examples above enhance positivity and build morale. That’s your goal as you encourage people to convert. 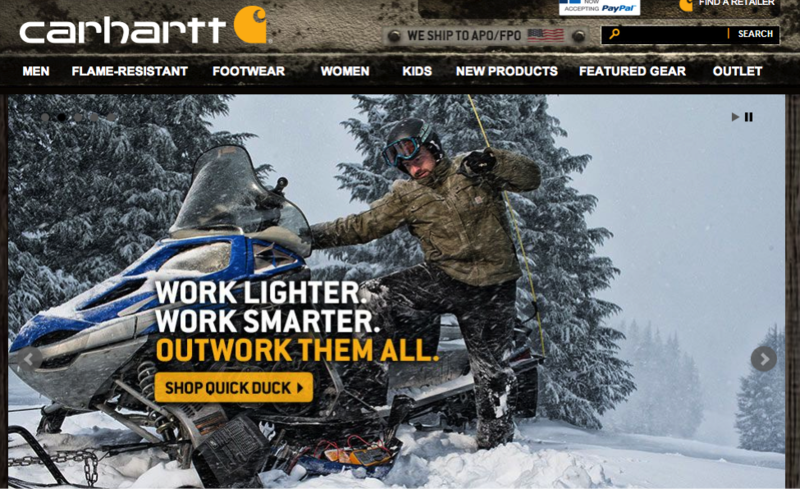 Carhartt’s use of “lighter,” and “smarter” is a good example of the use of positive language. Sandwiching negative words between positive ones is a good way to provide an overall upbeat mental conditioning toward the brand and product. Rather than use words like “cold,” “desperate,” “poverty,” or otherwise connotatively negative words, Save the Children uses the positive word “warm” in this example. People love a good story, and studies have shown that stories are more convincing than data. An article from the Fast Company explains the persuasion power of stories. Stories, even fictional ones, can shape readers’ minds, making them far more receptive and pliable in the persuader’s hands. “When we read dry, factual arguments, we read with our dukes up,” writes Gottschall in the article. Stories, as the famous 2007 Carnegie Mellon study showed, are extremely persuasive, especially when coupled with other emotional triggers. The conversion metric tracked in the Carnegie Mellon study was the amount of money given to a charity (Save the Children). The two persuasion techniques used were 1) fact only, and 2) story only. The fact-only group gave an average of $1.14. The story only group gave an average of $2.38. The website for Zaxby’s invites you to read the Makenzie story. Even though it’s slightly unrelated to Zaxby’s product, chicken and salad, it’s used as a successful step in the conversion process. Here, the “conversion” is brand awareness and reputation. Wolverine, a work clothing and footwear company, uses stories to inspire positivity toward their brand. Here, the conversion funnel involves viewing a video story. Stories are a compelling part of Lifeproof’s brand. Although they sell cases for smartphones and tablets, they feature video stories of people living a lifestyle that promotes the brand. An entire section on their website is devoted to these stories. 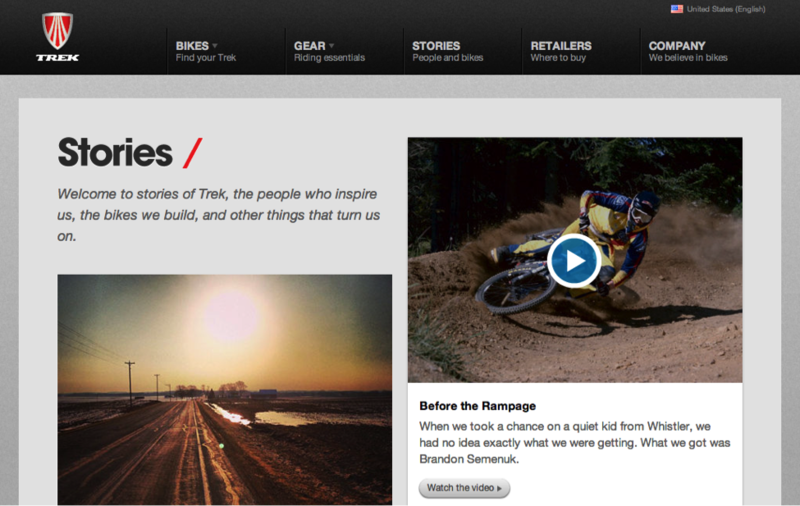 The bicycle company Trek uses stories as a major part of their content marketing. 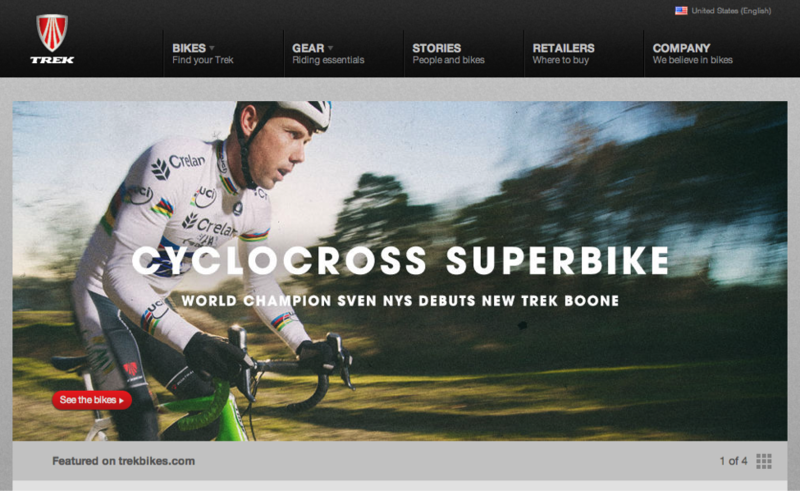 This homepage screenshot invites you to read about a world champion and his superbike. 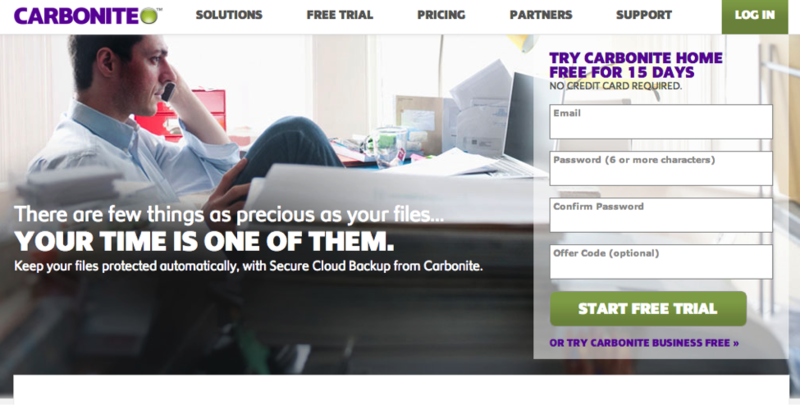 “Stories” is a header link from the website, and brings the user to the page pictured below. Reading about stories is a strategic step in the conversion funnel. 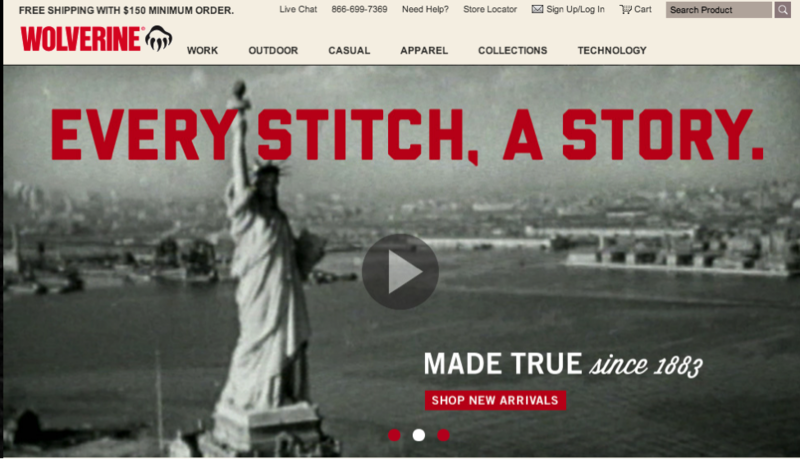 Your e-commerce site is all about persuasion. As long as you are in the business of selling, you must persuade people to act. Knowing the fine art of persuasion is the key to making this happen. That’s where Aristotle’s prowess comes in handy. Aristotle helped to organize the practice of persuasion, and we stand to profit from his wisdom. These ancient tips have incredible modern power. What are some other persuasion techniques that you’ve found to be successful?